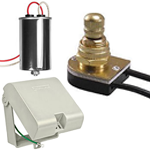 Founded in 1980, Sunshine Lighting has been a wholesale lighting dealer for more than 20 years. Starting as a one-man operation, the company has progressed to an international business. 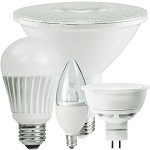 As one of the leading lighting manufacturers in the United States, Sunshine Lighting offers a variety of incandescent light bulbs, compact fluorescent lights (CFLs) and LEDs. The company’s main brand is Sunlite, but they also carry other major brands including Osram-Sylvania, General Electric, Phillips, Ushio and Universal. 1996, the company began to develop and manufacture the Sunlite brand. It produces a number of lighting technologies including a wide array of LED, compact fluorescent, incandescent, HID, halogen, decorative, miniature, specialty, and stage and studio lights. The brand has a reputation of producing high-quality products for an affordable price, and they boast a large selection of electrical supplies and light fixtures as well. Sunlite stays on top of the latest technologies in order to accommodate the most advanced products in the lighting industry. They also use customer interaction and feedback to better manufacture and introduce new products into the marketplace, as well as improve upon their currently existing products. 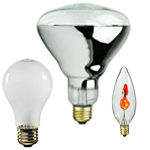 Incandescent bulbs produce light by utilizing a wire filament and an electric current. These lights are manufactured in a variety of shapes, sizes and wattages for use in commercial and residential applications. And because they require no external regulating equipment, incandescent bulbs can be used in an assortment of settings. CFLs are fluorescent lamps that have been designed to replace inefficient incandescent bulbs. Because they use only one-third of the electric power required by an incandescent and last up to 15 times longer, these bulbs are becoming increasingly popular in applications that formerly used the less efficient technology. LEDs are also a more efficient alternative to incandescent light bulbs. These bulbs make use of photon energy to create visible light. LEDs are available in a selection of colors that are dependent upon the corresponding energy of the photon.